The deaths of two quite different British rock stars during Christmas and New Year highlight the UK’s ability to bring apparently counter-culture ideas into the mainstream. Both David Bowie and Ian Kilminster (Lemmy to his fans) began their paths to becoming uncles of invention on the fringes. Bowie challenged the heterosexual orthodoxy of mid-twentieth century Britain. Nobody knew what sounds he would create next, or even what he would look like. He was a creative chameleon. As we ponder the scale of his achievement, students of innovation would do well to bookmark Bowie’s restless creative spirit. But creativity is a strange beast. Although management specialists tell us that we can improve creative output by embracing change, true creatives often don’t comply. When someone says stop, they go. When someone says sit, they stand. When the market says change, they stay the same. Lemmy was like that. His warty face, swathed in straggly hair is also to be found pinned up in bars and clubs all over the world. If not next to the high cheek-boned elegance of his counterpart from Brixton, then opposite it. Lemmy shows us the value of ‘no’. Not changing. To his fans and the wider public, this independent frame of mind struck a chord. Creativity is not always about looking pretty, sounding right and moving forward. That’s why, for many of us, Lemmy’s passing was such a sad moment. UK TM 2555806 is Lemmy’s trade mark. So long as their renewal fees are paid, trade marks don’t die. In the UK, the famous Bass red triangle (trade mark number 1), is as fresh as it was when it was filed on the 1st of January 1876. Lemmy may have been unconventional and non-conformist, but he was a musician, a songwriter and, in the development of Motörhead’s iconography, a conceptual artist who understood the way a single image can encapsulate a world of ideas. 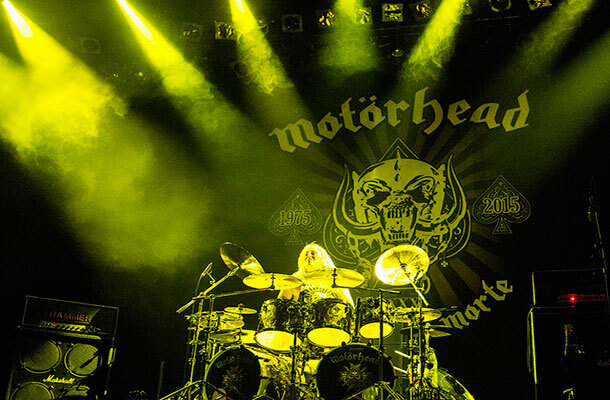 Motörhead’s 22 studio albums, 9 live alums, 22 singles and over 2,500 concerts worldwide are a testament to his and his band’s dedication to music, their fans and their own creative confidence. It wasn’t just the name Motörhead that forged the band’s iconic image, nor was it the insertion of the small, but significant, umlaut - Motörhead’s iconography was defined by the band’s ‘fourth member’, artist and graphic designer Joe Petagno. In the mid nineteen-seventies, after he was abandoned by the band Hawkwind in a Canadian jail following a dispute, Lemmy returned to England. Here he created a new three piece band. ‘Rage’ might be an appropriate word for Motörhead’s muse. A nuclear fusion of punk energy and rock power set the band on a forty year tour of planet earth. Wherever they went their iconography stuck. Their logo said it all. It appeared on their first album in 1977 and it’s still with us today. Lemmy wanted a biker patch that could be displayed on the back of a jacket. Petagno recalls discussing the design with Lemmy over a drink, then disappearing (significantly for those interested in the genesis of great ideas) into Chelmsford public library to look up drawings of skulls: gorillas, dogs and wolves. Like a lot of commissioners, Lemmy, had a rough idea of what he wanted and an even clearer notion of what he didn’t. After discussion, the horns on what later became known as ‘Snaggletooth’, ‘War Pig’ or ‘Iron Boar’ were moved from the top of the scull, and put into the mouth. The power of this uncomfortable image, its consistent use and re-imagining (Petagno created many versions of the icon) and its subsequent registration as a trade mark, demonstrates Motörhead’s innovative and strategic approach. It also reveals how the interplay between design, trade mark and music forge successful brands. 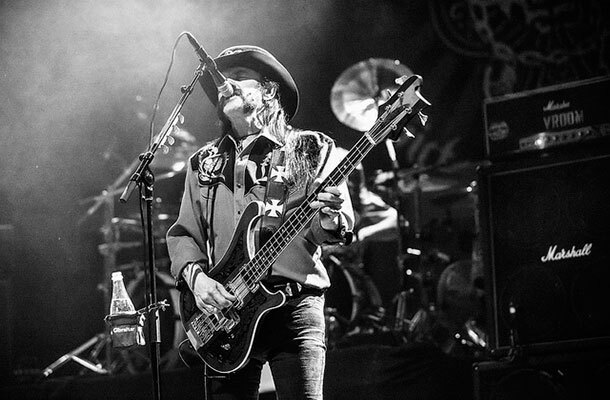 Lemmy played his bass guitar in a unique way, his band sounded unlike anyone else and the band’s imagery evolved over decades. Even Lemmy’s forearm, tattooed with the ace of spades and the words ‘Born to lose. Live to win.’ made a consistent point. At the heart of creativity there’s a contradiction. Everything that's been achieved in the history of mankind has been achieved by not being safe. Long live trade mark 2555806! Great piece and, being a former resident of Chelmsford, I was entirely unaware of this prestigious link! Thanks Nia! I'm glad you enjoyed it. Let us know if you ever want a blog post.